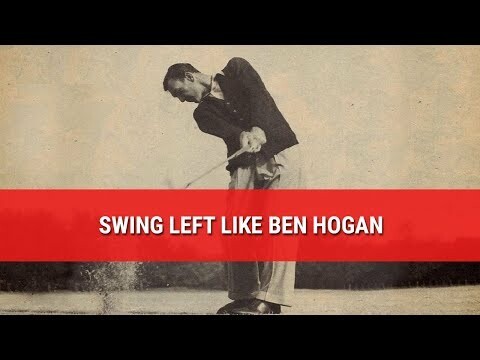 Ben Hogan appeared to "swing left" by using a body style release. This drill will teach you exactly how to do that and build a stable release in your golf swing. 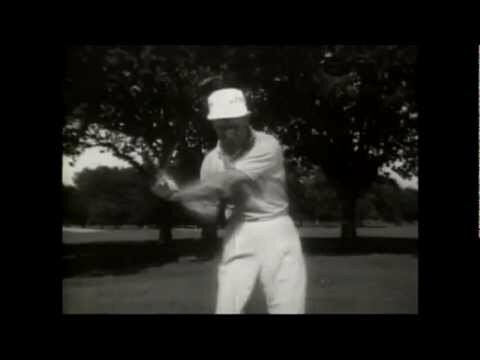 Ben Hogan appeared to “swing left” by using a body style release. This drill will teach you exactly how to do that and build a stable release in your golf swing. 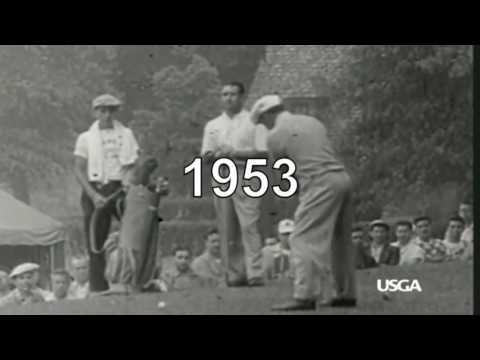 How can you get any kind of club head speed like this? 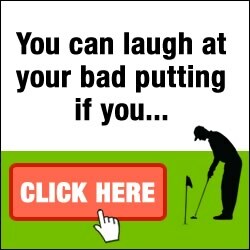 I think that what leads people down the incorrect path in terms of how they "release" the golf club is the fact that a great many teachers have the club opening in to a toe up position going back. From there, the rolling of the forearms just makes sense through impact. You will see many more great players with a classically shut club face position and a body release pattern in the future. 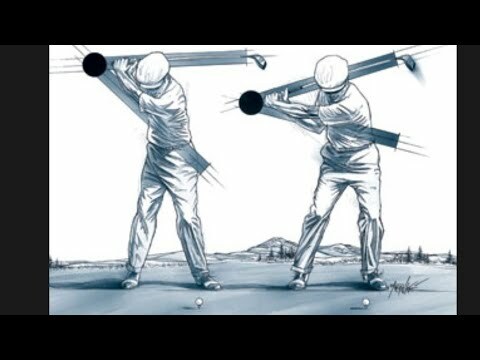 This is interesting but how do you generate any clubhead speed if you're using the body to move the club? How does the club ever release? is there a vid about his footwork and how to apply that to this? BJ, is there any reason not to combine this drill with your Hogan Pivot Drill to produce one continuous practice motion? OMG this is going to bring my game to a brand new level, thank you so much B.J. Body swing!!! So basically there is no release of the hands in the downswing is that correct? Is it correct to observe that the racket is not square to the target line until it is well past address? Meaning you would be hitting a ball before it reached your left foot. When I do this drill with a golf club, I only get square in time to reach the ball if the hips are well ahead of the hands, and I guess that’s the point? Magical video. Finally got my body to move correctly! this is so well explained…very glad i found your instruction. Hogan kept his right elbow tucked in to his side on the downswing and at impact. I use a heavy plunger. Works great. It looks like Mr Hogan's right elbow is a little behind his right hip, not a good idea. I found the secret to do this is to have the left elbow turn over near your body. It pulls to the left as you turn your body. This allows the club and hands to catch up and break over nicely. And there's no chance in a shank ? If for mortals like me can't swing as fast as the Great Man. Great video, BJ best I have seen from the impact position to finish. I always struggled with section of the swing, but this really helps with the pivot and rotating the body to get left.